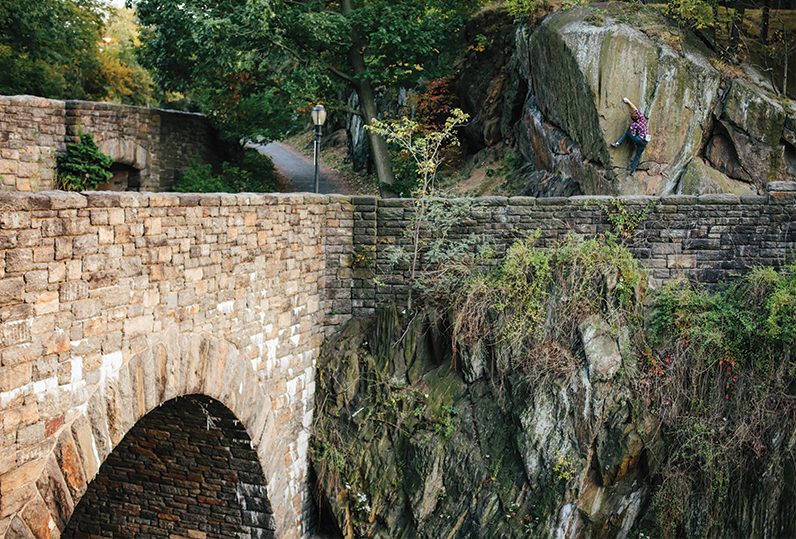 Driven by a thirst for exploration, Gareth Leah has made New York City one of the world&apos;s unlikeliest climbing destinations. A desire to explore leads people outside, often to the vast landscapes of deserts and mountains. But for those willing to look, the magic of the outdoors can be found in unlikely settings. 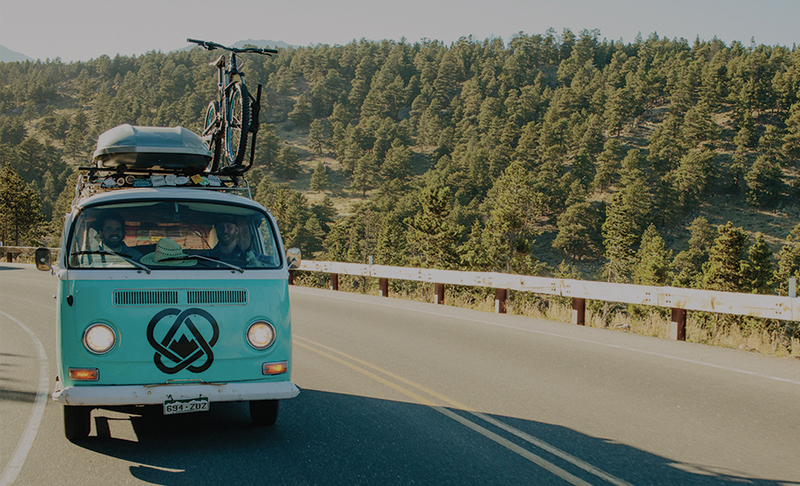 With its Unscripted series, Basin and Range tells the unfiltered stories of unique people with zest for life, passion for exploration, and deep appreciation for the natural world. 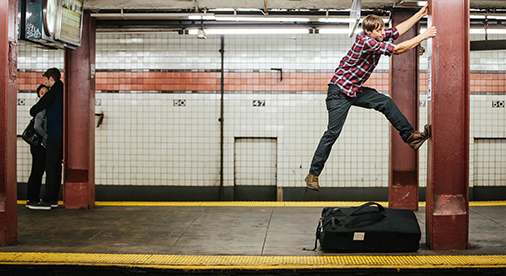 Gareth Leah&apos;s adventurous spirit has allowed him to find natural serenity surrounded by concrete, skyscrapers, and millions of people. 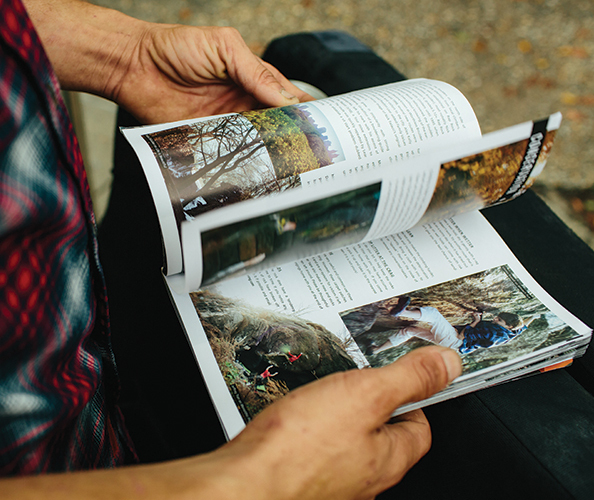 Gareth spent a year and a half exploring on foot, wanting his guidebook to be as comprehensive as possible. 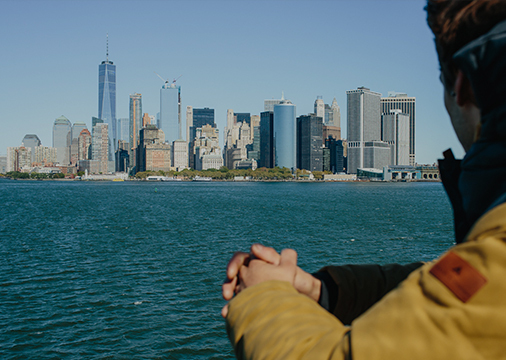 When Gareth Leah first arrived in New York he was broke. 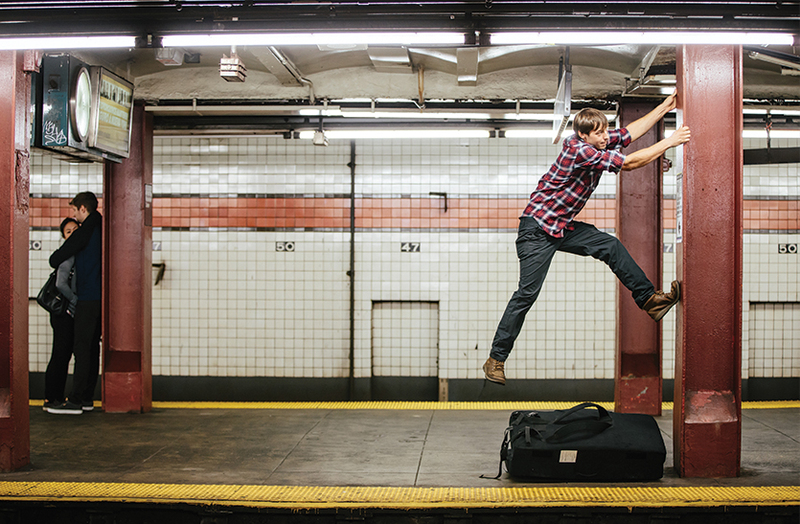 He had developed a passion for climbing while in college back in his homeland of the UK, but memberships for New York City&apos;s climbing gyms were expensive. 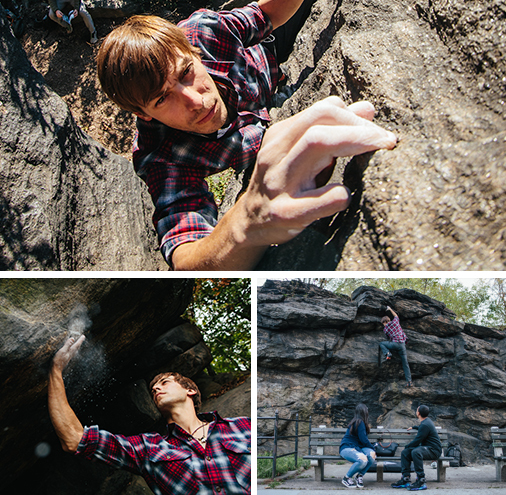 Instead, he went to Rat Rock in Central Park and was immediately struck by the sense of camaraderie amongst the people bouldering there. Wanting to find more places like this, he began exploring. He&apos;d walk, scouring the city, zigzagging bottom to top. 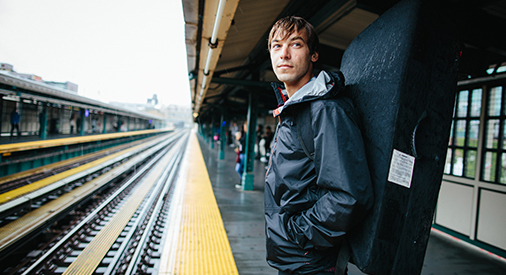 "As I went I would create my own little map of things to do and places that interested me," he says. 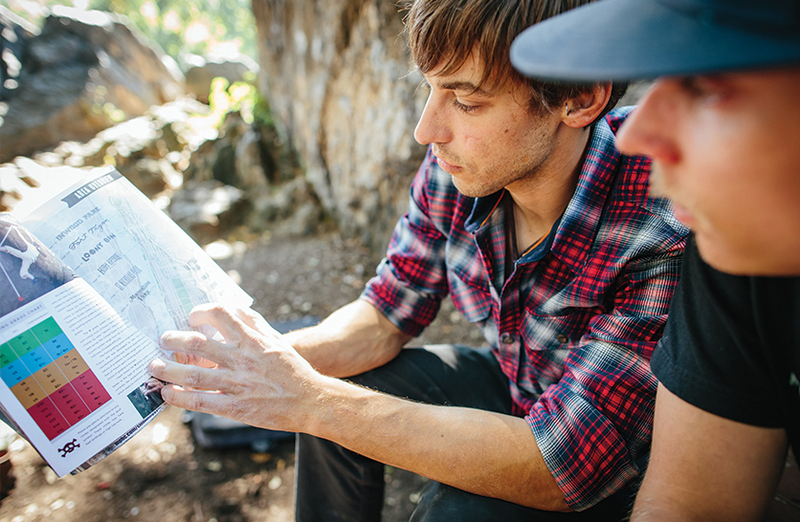 "It really opened up my eyes to what you could do here that was off the beaten track." 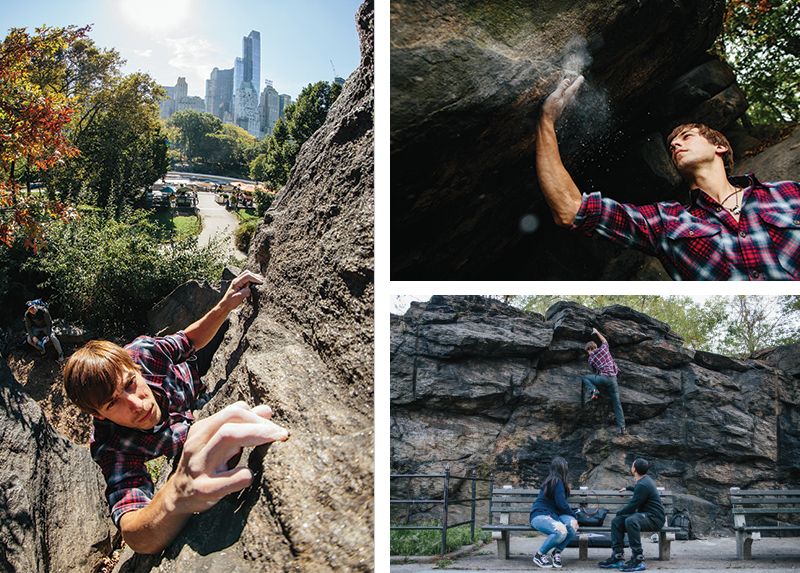 Sometimes he&apos;d find new bouldering spots, sometimes he&apos;d wander into museums, sometimes he&apos;d just wander different parks looking for hidden secrets. 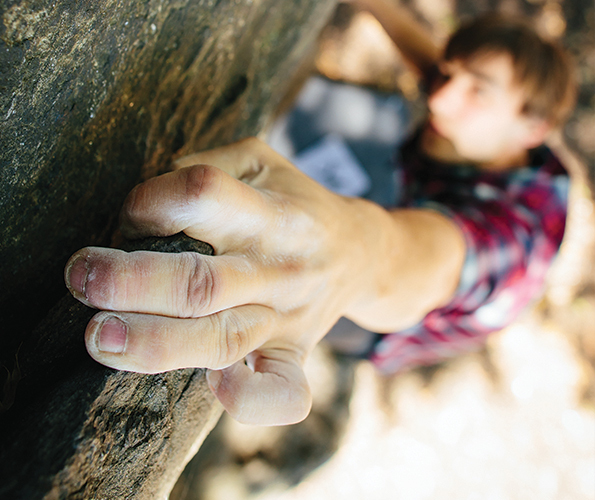 "When you go climbing, everything else is secondary. You can only think about the movements, and it seems so primal. But that&apos;s what attracts me to it." "I think the city has this vibe about it, that if you&apos;ve got the inclination to succeed, it&apos;s going to help you get there." 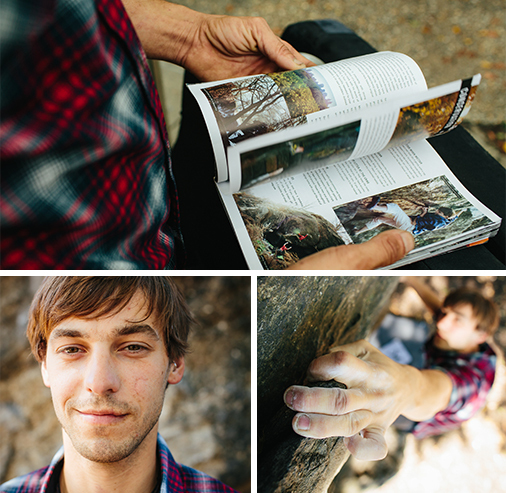 Gareth, also known as ‘Gaz&apos; to his friends, had heard rumors of bouldering spots he hadn&apos;t yet found, and that&apos;s when he decided there needed to be a guidebook of the city&apos;s bouldering locations. 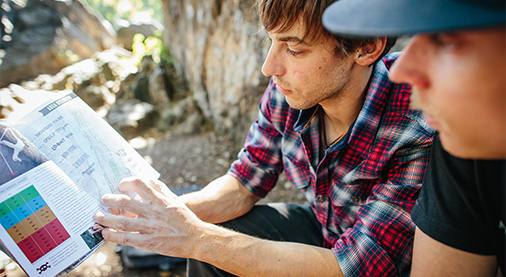 He spent a year and a half methodically searching city parks and roadsides. 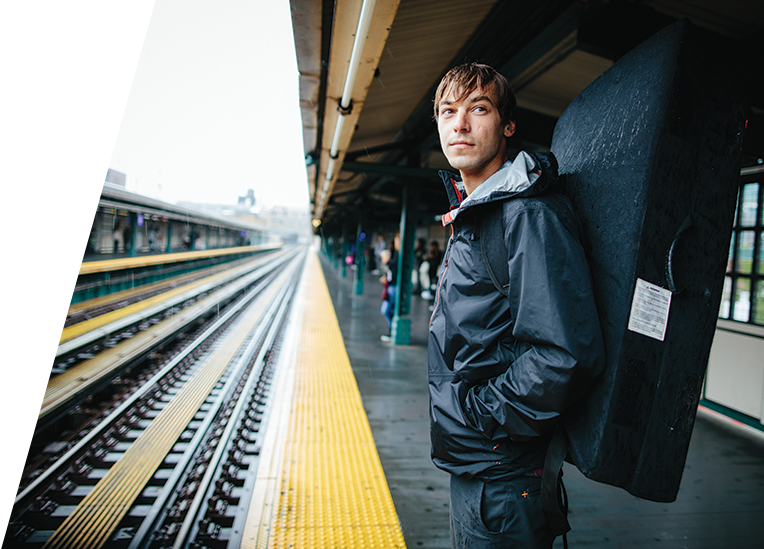 The result is his book, NYC Bouldering, which has inspired numerous climbers and even climbing events throughout the city. "It was really rewarding seeing so many people finding joy out of something I&apos;d created," he says. 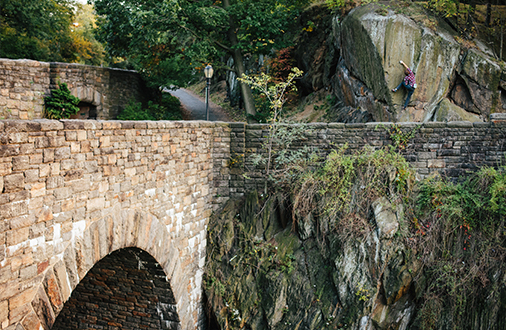 For Gareth, the parks of New York City are a sanity-saver, necessary for escaping the constant movement of life in the city. "You can find a sense of nature," he says. 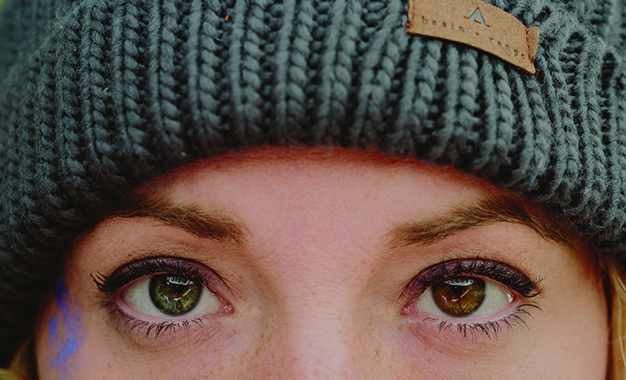 "You just have to look a little further … It’s not as hard as it seems, but to most people it’s hard to take the time. You have to make it an important part of your life." Gareth loves climbing for its simplicity, the way that it narrows the mind to a singular focus and the analytical nature it takes to solve a problem. 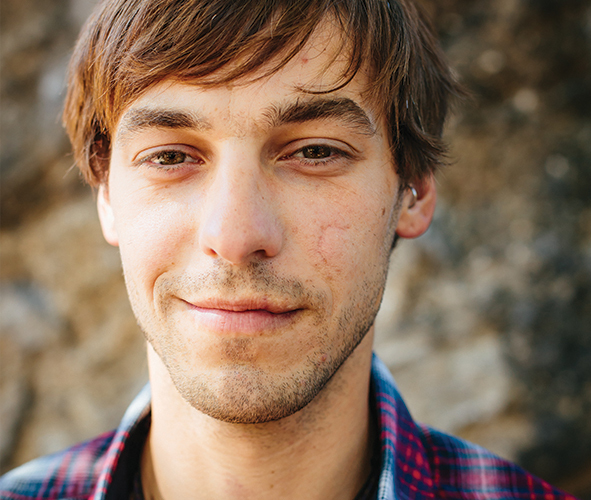 "Bouldering is the rawest form of climbing," he says. "Other than a pair of climbing shoes and chalk, there’s nothing to hold you back, nothing to protect you from falling."